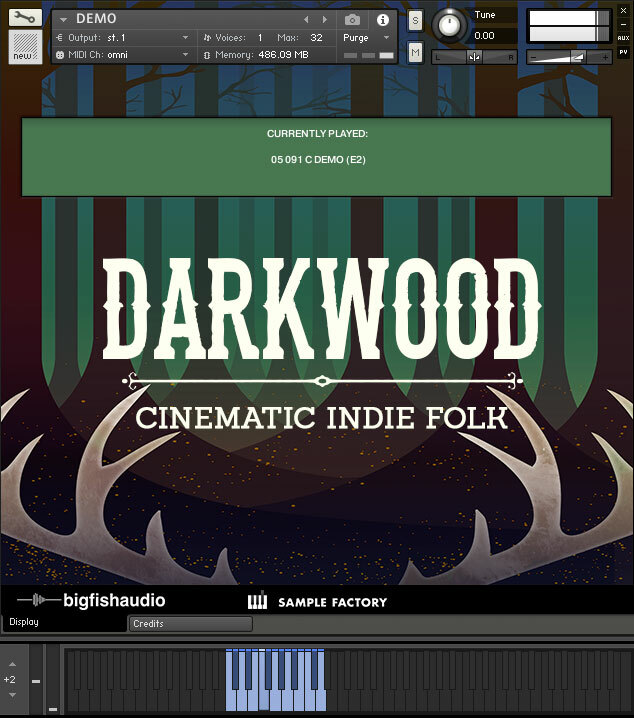 Big Fish Audio and Sample Factory are proud to present Darkwood: Cinematic Indie Folk. 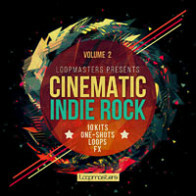 This library is the new choice for documentaries, video games, commercials, indie film trailers, sound design and more. 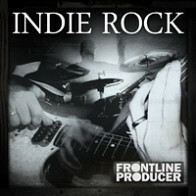 Whether you're needing some haunting guitar riffs on a resonator guitar or some lush electric ambient sounds for your next indie title, this library has got you covered! 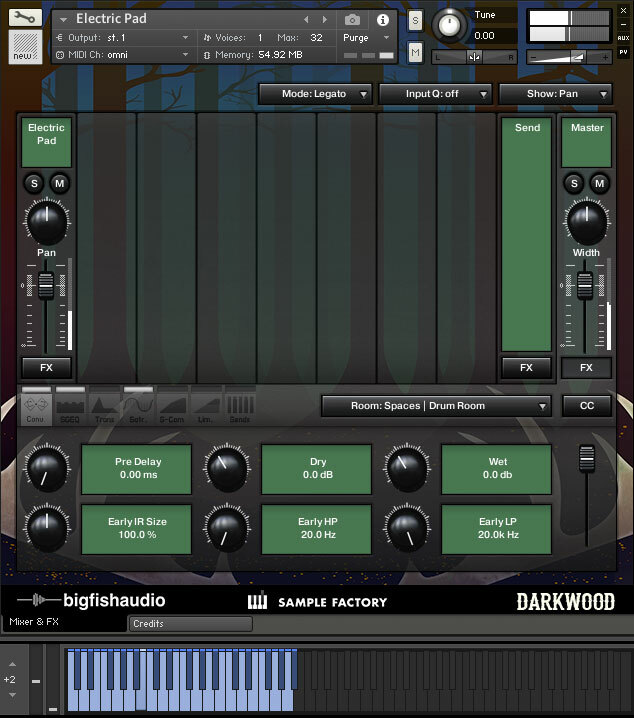 Darkwood contains 15 kits packed full of Acoustic picking, Rhythm and Slide Guitars, Electric picking, Effected Guitars, Resonator, Dobro, Cigar Box Guitar, Bass, Bells, Accordion and so much more. 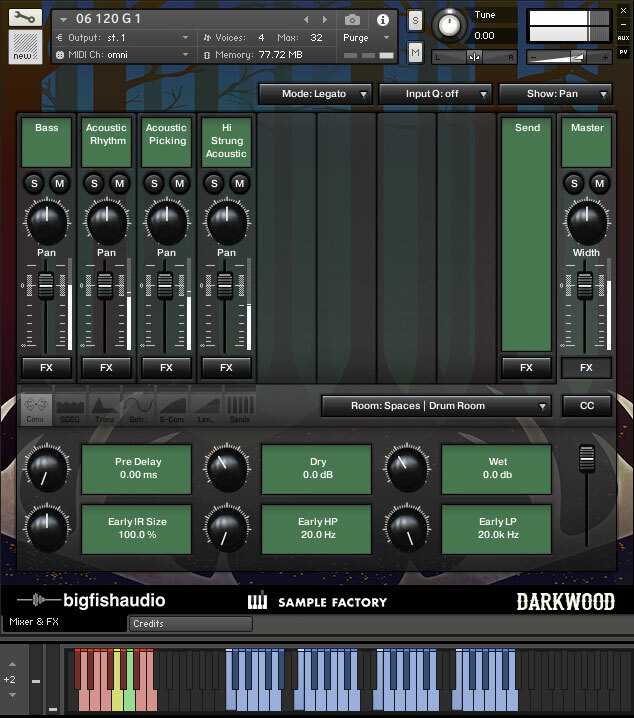 Every kit contains multiple song sections (Intro, Verse, Chorus, Bridge, Turnaround, and Outro) allowing you to have unlimited options at your fingertips and giving you everything you need to tweak the performances and make them your own. 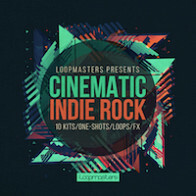 Darkwood: Cinematic Indie Folk has been formatted in all the industry standard file types: Apple Loops, Acidized WAV and REX. Every piece of commonly used hardware and software will be compatible with at least one of these fully developed and usable formats. 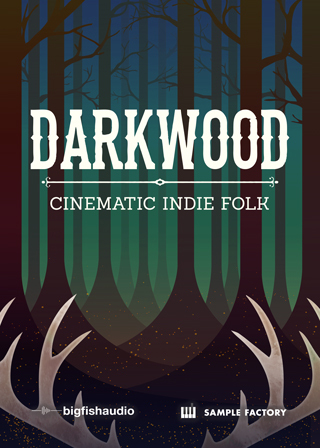 The Following End User License Agreement is included with Darkwood: Cinematic Indie Folk. 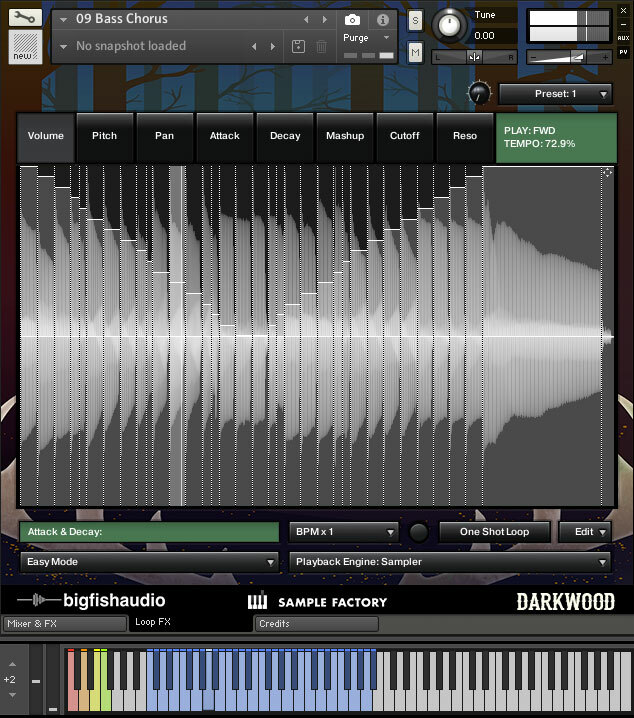 This License is only valid for the individual who has purchased an unopened, new and lawfully made copy of Darkwood: Cinematic Indie Folk from a dealer or distributor authorized by Big Fish Audio.